The Denver Nuggets again intend to put themselves into the running for one of the top players on the move in the NBA. After pursuing Dwyane Wade aggressively last offseason and being named in a possible draft-night deal for Jimmy Butler this year, Denver is now reportedly going to pursue Cleveland Cavaliers point guard Kyrie Irving. Irving, shook the basketball world on Friday when Brian Windhorst of ESPN reported that the 25-year-old had requested a trade from the 2016 champions. The move caught everybody off guard, but the fact of the matter remains that there is now another superstar on the market. According to Sam Amico, the Nuggets intend contact the Cavaliers regarding the four-time All-Star. 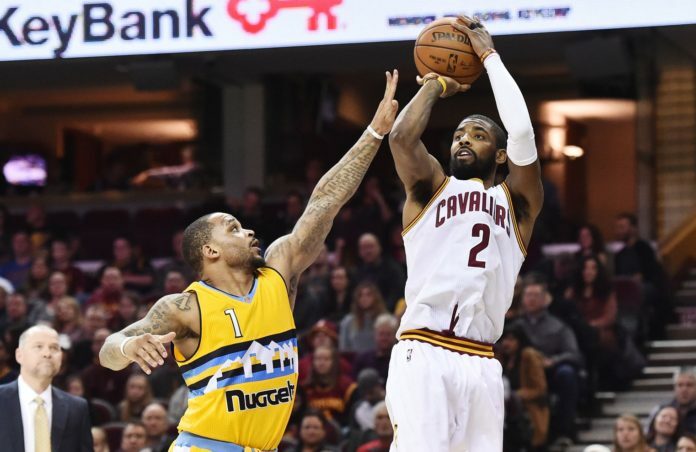 #Suns and #Nuggets are two teams that intend to contact #Cavs about Kyrie Irving, AmicoHoops has learned. The asking price will be high, but one the Nuggets can pay if they are willing to do so. 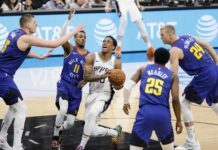 A trade between the Nuggets and Irving would likely involve promising youngsters Jamal Murray and Gary Harris in addition to a role player and draft picks. What will make Irving attractive to teams around the league is his team-friendly contract. 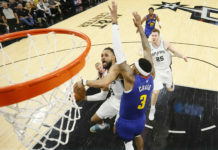 Irving signed a five-year, $94-million-dollar contract ahead of the 2015-16 season, which leaves him under team control through the 2019-20 campaign. 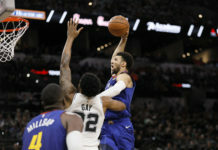 While he will still be making upwards of $20 million dollars a season on average, that number is substantially smaller than the $30-plus million averages in the recent contracts of fellow stars Paul Millsap (who signed with Denver as free agent this offseason), Stephen Curry, and James Harden. The Nuggets and Cavs have some previous trade history. Just before the draft, many reports circulated that Denver, Cleveland, and the Indiana Pacers engaged in trade talks that would have sent Kevin Love to the Mile High City. In 2015, the Nuggets traded Timofey Mozgov, along with a 2015 second-round pick, to the Cleveland Cavaliers in exchange for two protected 2015 first-round picks. Irving would be a game changer for the Nuggets. He’s an established star who still has room to grow as a player which would pair well with Denver’s mix of young and established talent. The New York Knicks, San Antonio Spurs, Miami Heat, and Minnesota Timberwolves have all emerged as destinations Irving would prefer to be traded to, according to ESPN. The Pheonix Suns are also expected to engage the Cavs in trade talks. Irving does not have a no trade clause in his contract. Irving is averaging 21.6 points, 5.5 assists, and 3.4 rebounds per contest in his career.